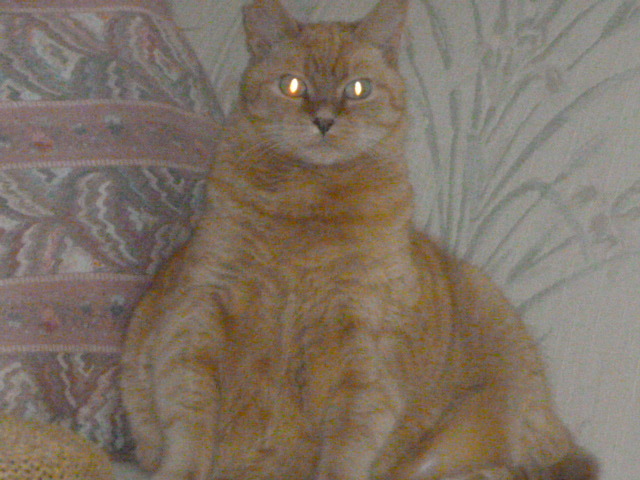 She's a fat little short legged stripey orange tabby. off and sit on the sofa. She is lovely. How did she get so err..fluffy? go off and sit on the sofa. She is lovely.Â* How did she get so err..fluffy? when her previous owner died. I noticed at the time she was "fluffy"
lot of play time exercise but it doesn't seem to make much difference.